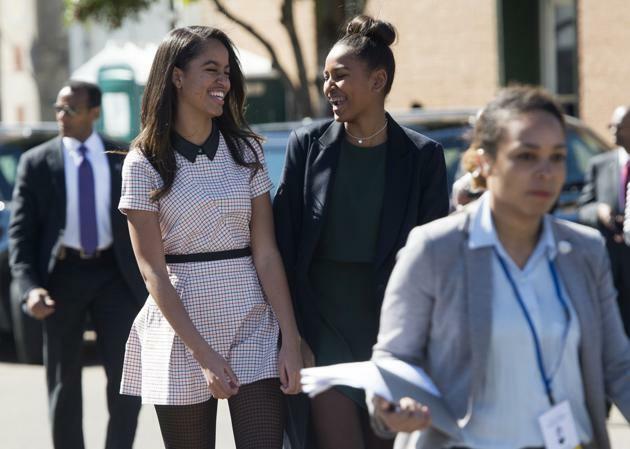 As the First Daughter looks at colleges, we offer some reasons for her to attend an HBCU. 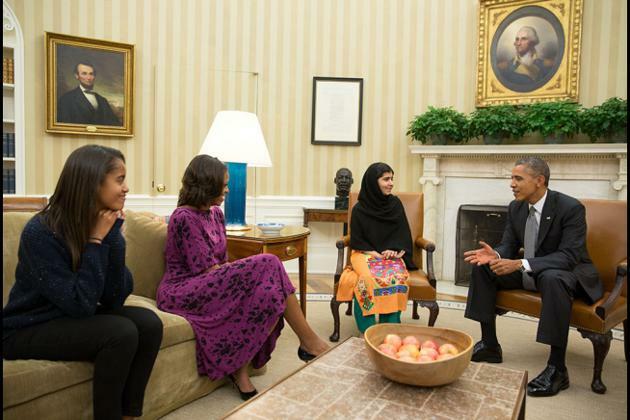 The fall can be a stressful time for high school seniors, even for President Obama’s eldest daughter, Malia. Aside from who she chooses for the Sidwell Friends homecoming dance, the 17-year-old will have to decide where to attend college. While many are fixated on whether she’ll go Ivy, liberal arts, or public, Next America offers some thoughts on why she should apply to a Historically Black College or University. 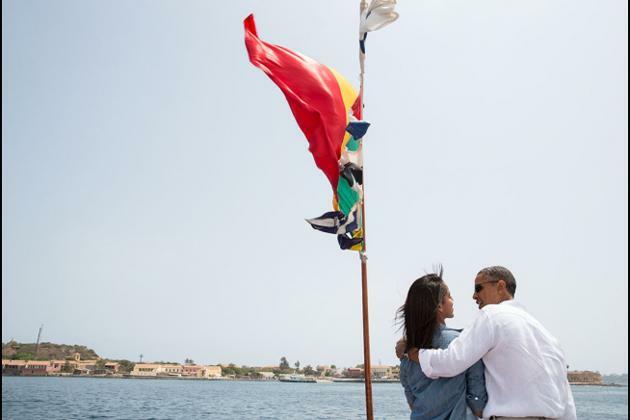 Malia will be surrounded by people from across the country and around the world, which will be a smooth transition from her years tagging along with POTUS to far-off places. HBCUs are home to students of all ethnicities, races and backgrounds, which will give her a global view, much like her father. HBCU alumni often say that their professors tried to be more inclusive of multiple perspectives, histories and peoples. HBCUs are unique because the curriculum resembles that of any institution but also is supplemented by the richness of African-American culture. While most HBCUs have a larger percentage of Black students than any other race, the Black experience is vast. Coming from an affluent, predominantly white school like Sidwell Friends, Malia will be exposed to the varied socio-economic, geographic and cultural experiences of people who make up the African Diaspora. Just as the First Family has been a model of a supportive family for all Americans since moving into the White House, Malia would have the opportunity to encourage students to consider an HBCU when making their college decisions. 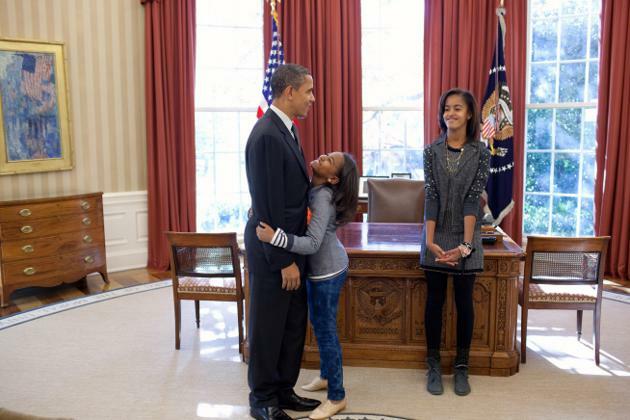 She could become an inspiration as the first, first-child to attend an HBCU. 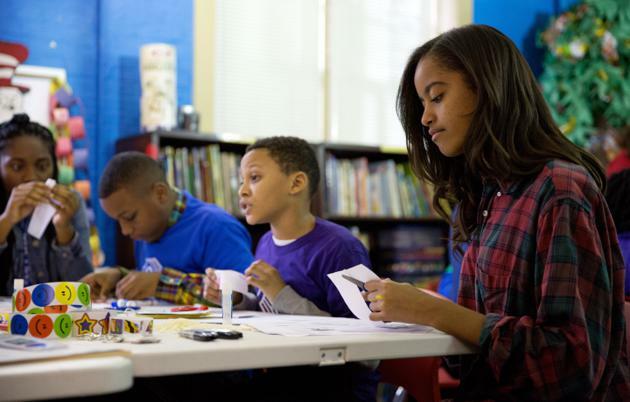 WASHINGTON, DC - Malia Obama participates in a literacy service project at the Boys and Girls Club of Greater Washington, DC to mark Martin Luther King, Jr. Day of Service in Washington, DC. HBCU homecomings have been a cultural staple since their inception. It's less about the football and more about the halftime show and the sea of people who, filled with school pride, observe the step-shows, stroll-offs and pageantry with a religious fervor. The elements of HBCU homecoming may take form with different colors and mascots but the essence of the thing, the tailgates, the marching bands, the pilgrimage of alumni, all create a rich atmosphere that many have come to revere as a “spiritual tradition.” Spirit is used loosely, but homecoming is full of traditions that when experienced for the first or 50th time, make you feel at home. 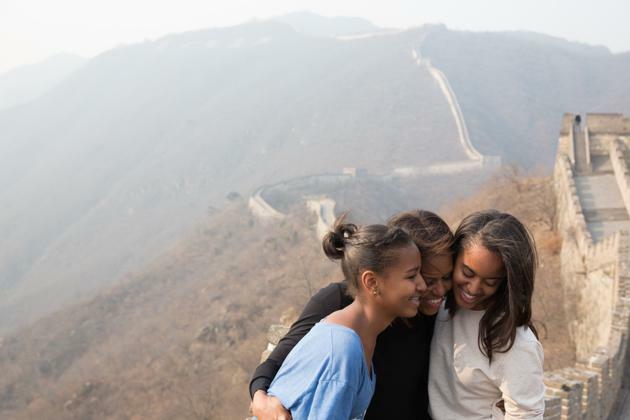 As her father has demonstrated by surrounding himself with intellectual Black women – starting with Michelle and continuing with Valerie Jarrett, Susan Rice and others – Malia is likely to be plugged into a network of lifelong, loyal, and driven friends (and potential cabinet members). By attending an HBCU, Malia would join the ranks of successful, influential Black women, whether she follows in the literary footsteps of Toni Morrison, Zora Neale Hurston and Alice Walker, creates her own media empire like Oprah Winfrey, or, perhaps, falls in line with the scores of lawyers, doctors, engineers, or executives. 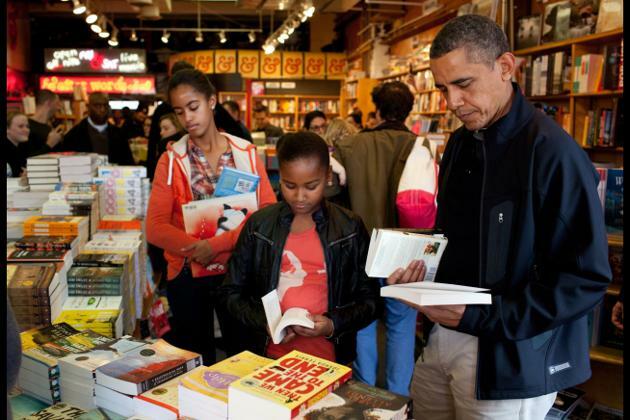 Malia will be in good company if she attended schools like Xavier University or Spelman College which are responsible for at least one third of black STEM PhD recipients.